The Alfa Art Gallery is proud to present “Counterparts,” the third exhibition of the 2011 New Brunswick Art Salon, following two exhibitions from the spring. In the 18th and 19th century, Art Salons were the greatest annual or biannual art events in the Western world, celebrating the farthest advances in academia and the arts. The Alfa Art Gallery, in order to bridge talented and highly esteemed artists with the New Brunswick public, holds its own Art Salon exhibitions biannually in the Spring and Fall. Ellen Weisbord received her BFA in Art Education from the Philadelphia College of Art. 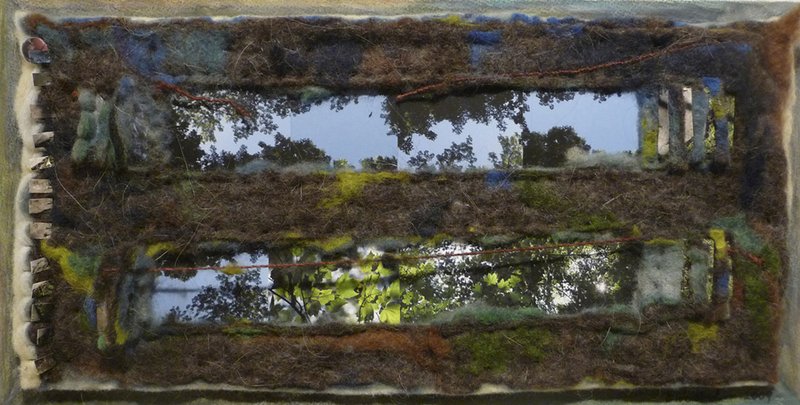 She is a mixed media artist, working with felt, photography and coiled basket. Her works, which reflect influences from nature, are interpretation of what she observes within and outside her daily life. She has exhibited her work in New Jersey, Oregon and Washington D.C. At present, she teaches at Columbia High School in Maplewood, New Jersey. Jamie Greenfield obtained her BA in Studio Art from the State University College at Fredonia and her M.A., also in Studio Art, from the State University of New York at Albany. The volume of her works is varied, ranging from abstract, colorful pieces to beautifully representational sketches, reminiscent of Renaissance Art. At present, she is serves on the Bunn Family Distinguished Teaching Chair at the Lawrenceville School in Lawrence, New Jersey. Greenfield has exhibited in many shows in New York, New Jersey, Pennsylvania and Alabama. Her works are held in the permanent collections of Rider University, the Mercer County Cultural and Heritage Commission, the University of Delaware, the College of New Jersey and others. Lisa Pressman received her BA from Douglass College at Rutgers University and her MFA in Painting from Bard College. Her paintings are beautifully abstract, incorporating oils, collage, wax and other media to create works that allude to personalized time and space. 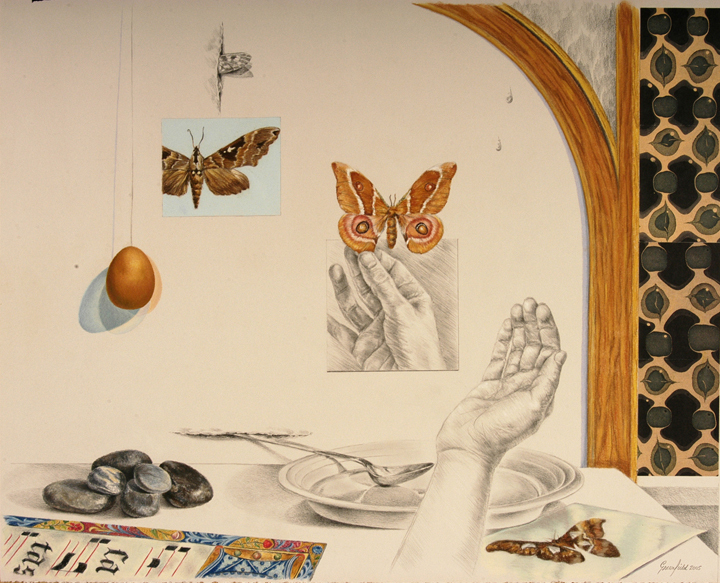 According to Pressman, her work is the physical embodiment of the slow and gradual process of realization and transformation. She has showcased her work in several solo and group exhibitions in Pennsylvania, New Jersey, New York, Florida, Texas, Massachusetts, Georgia, Florida, Oregon and South Carolina. Her work appears in several corporate collections, including those of McKinsey Financial Corporation, Hyatt Regency, Evergreen Spot Trading Corporation and many others. Nilufer Ozturk earned her BA in Art Education from the Ondokuzmayis University in Samsun, Turkey. Prior to moving to the United States in 2000, she has taught in various cities, including Istanbul. The focus of her work is in establishing communications between past and present in regards to what she observes from her surroundings, often using organic forms. She has exhibited in several shows in Turkey as well as in New Jersey. She was awarded second place in an exhibition at the Hunterdon Museum of Art in Clifton, New Jersey. Sarah Petruziello obtained her BFA and MFA from the University of Georgia in Athens, Georgia. 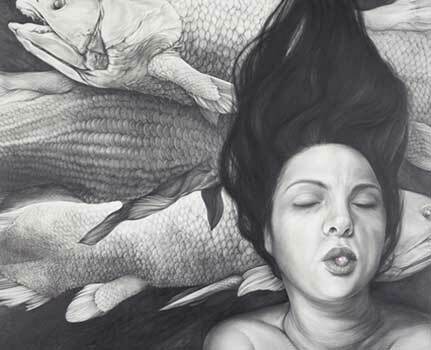 She creates large-scale drawings—using graphite drawing pencils on Arches watercolor paper—that are generally narrative portraiture with elements of symbolism. Petruziello has successfully exhibited in many solo and group exhibitions in New Jersey, New York and Georgia. She has been awarded a grant by the George Sugarman Foundation and a fellowship from the New Jersey Council State of the Arts. Theodosia Tamborlane received her A. A. in Visual Arts from the Union County College in Cranford, NJ. Prior to her artistic career, Tamborlane obtained an A.A. from Peirce College of Business, a B.A from Drew University, an M.P.A from Fairleigh Dickinson University and a J.D. from Seton Hall Law School. Her series exhibited, “Toys and games” is abstract, designed to elicit childhood memories of play, as colors dance across each canvas. 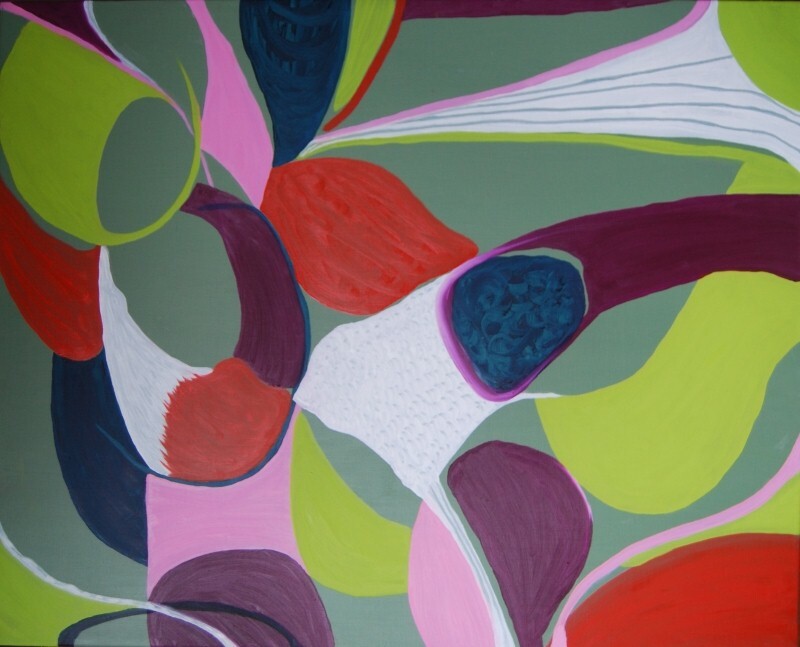 Tamborlane has exhibited her work in several solo and group exhibitions in New Jersey, New York and Florida. She has also been awarded in several juried exhibitions. If you would like to submit for the 2012 New Brunswick Art Salon, please visit our website again in the future for the next prospectus.